Lansdowne Press, Melbourne, Australia, 1968. John Gollings, Photographer. (illustrator). 4to - over 9¾" - 12" tall. 208 pages. 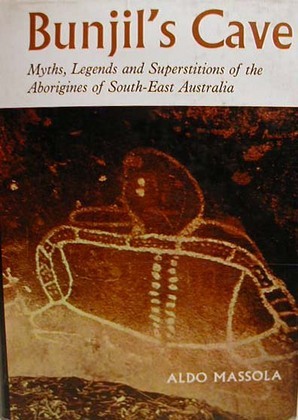 An anthropological study on Australian aboriginal myths and legends. Front endpapers are a map of localities of the legends and natural features of South -East Australia, areas occupied by the several aboriginal nations.